The Return of the Curia of the old days Bertone exits, Parolin enters. What will change? Pope Francis has underscored in Assisi his idea of «a poor Church for poor.» It is part of the «reform of attitudes» that Pope Francis considers more important than the Curia reform, i.e. a reform of the organizational structure. During this week, a certain lack of institutionality has been felt. At first sight, there is a sort of «divided» Church. The Pope is divorced from the institution he represents. The Curia’s control room is separated from those who want to control it. Even communications are «fragmented», with the Holy See Press Office seemingly ever more sidelined, while media advisors appear to direct Pope Francis in a disconcerting manner. These are the risks of an informal Papacy. In a sense, Pope Francis is someone who is used to live and continues to live as if under a dictatorship. During the military dictatorship in Argentina, he stood out for his heroism, a fact that made him some enemies who have later insinuated he was in connivance with the Argentine military regime. These are rumors that time and again have proven to be completely baseless. Living in the Vatican, Pope Francis seems to be sticking to the same forma mentis of the times he lived under a dictatorship. He is very suspicious toward the Curia (which he defined in a recent interview as «a plague»); he trusts only his friends; he decided to live in the Domus Sanctae Marthae because he can be seen by all, minimizing the risk to fall victim to malicious gossiping. 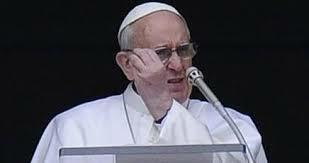 Since the Pope is there, visible, it should be more difficult for some to spread rumors about his way of proceeding, or about “corruption” in the Pontifical family. To be on the safe side, Pope Francis manages his own agenda, as he always did in Argentina, since the time of the dictatorship there. There is another, not less important, problem: the Pope’s vision of the Curia corresponds and feeds the image of the Curia portrayed by the media: a nest of plots, corruption, and wrongdoings. Unintentionally, Pope Francis risks giving impetus to an old media campaign against the Church. Yet another consequence is that the “curiali,” who are «as shrewd as snakes but not peaceful as doves, » have more space to act. 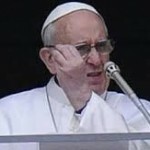 The persistence call of the Pope to stop the gossiping sort of «terrorizes» the Curia. This kind of feeling parodoxically inhibits those who act honestly, and favors those who have always shrewdly pushed for their personal agendas. While waiting for Pietro Parolin, Secretary of State Elect, to take officially his post on Oct. 15, many in the Curia are busy trying to strengthen their own influence, regardless of what the Pope may wish. One particular field for these «hidden battles «» is that of the «financial management» of the Holy See. The commission appointed by Pope Francis to supervise Vatican finances has seen its share of scandals. They evolve around one of its members, Francesca Immacolata Chaouqui. Chaouqui was very critical of Benedict XVI’s Curia. She also accused Cardinal Bertone of corruption, in a tweet. She supported Ettore Gotti Tedeschi when he confronted (unsuccessfully) a no confidence vote from the Institute of Religious Works (IOR) board of laymen, and is reportedly one of the aggressive sources of the gossip Italian web portal Dagospia. Chaouqui has also been considered one of the Vatican’s «crows,» i.e. one of those responsible for the leaks of reserved documents from the Apostolic Palace. Chaouqui is a public relations expert, and it is also rumored that she was the «mastermind» of the financial tycoon Alessandro Proto’s media campaign. Proto gained prominence when it was reported that he was about to raid the stocks of important companies in Italy. His fame increased when he personally denounced –with harsh press releases and lawsuits– characterizations that he was a financial raider. Later, it became known that Proto himself (on Chaouqui’s suggestion?) leaked news about his financial raids in order to give rise to opportunities to reply to his critics and grab newspapers headlines. The «Proto approach» could find traction in the Vatican, where the season of poisons has already begun. Cardinal Attilio Nicora, president of the Authority for Financial Information, is very active. He agreed to changes to the Vatican anti-money laundering law only because the Council of Europe asked for the modifications, and because they led to a generally positive evaluation by the Council of Europe committee of MONEYVAL. In fact, the old law made Nicora a sort of man of the compromise, the mediator between the Vatican and Italy. The new law (further revised in January and then on Aug. 8) strengthened the Holy See’s sovereignty and increased its international weight. The Holy See chose to favor a model of transparency based on international recognition, rather than a special relationship with a nearby State. The first anti-money laundering law, a sort of «good neighbor pact» between the Vatican and Italy, could in fact put the sovereignty of the Holy See at risk. The MONEYVAL report mentioned just one conflict of interests: that of Nicora, at the time president of the Authority for Financial Information (a controller), president of the Administration of the Patrimony of the Apostolic See, APSA (a controlled agency) and member of the IOR cardinals’ commission. He had to leave the presidency of APSA. When Benedict XVI – having already announced his renunciation – renewed the mandate of the members of the cardinals’ commission, he appointed Domenico Calcagno as Nicora’s successor as president of the APSA, and as Nicora’s replacement in the commission. An APSA led by Calcagno is still in fact an APSA led by Nicora. The scandal of Nunzio Scarano, the APSA employee who was not dismissed even after the numerous complaints about his performance throughout the years (complaints that had been forwarded to Nicora), is a direct result of Nicora’s personalist management style. The Scarano affair had other ramifications. Massimo Boarotto, president of the Ordinary section of the APSA, who blocked the rising of Scarano, is back to Verona as parish priest. He was replaced by Don Mauro Rivella, a Canon law expert (he is part of the scientific committee of the Rivista di Diritto Ecclesiastico, headed by Cardinal Francesco Coccopalmerio, President of the Pontifical Council for Legislative Texts) and part of Nicora’s circle. Rumors says that this is why Nicora backed his candidature for the APSA ordinary section post, even though the Italian Bishops’ Conference – in which central secretariat Rivella served for some years – decided that Rivella’s service in the “central government” of the conference had come to an end, and sent him back to his dioceses, Turin. Von Freyberg promised the publication of the annual report in a May, 30 interview granted to Vatican radio. There are several risks that one should take into consideration. The first: doing what the media expect the IOR to do makes the IOR subservient to the media, as if it would have to justify everything it does. Secondly, if the IOR would do everything a bank does, it would fail. From the very beginning, there has been a debate about its very nature: is it a bank or is it not? The Vatican always had to explain that the IOR is not a bank, but a financial institute. Beyond the numbers and the “philosophical” problems about its nature, the IOR annual report states that the last modification on the anti-money laundering law (into effect via a Motu Proprio issued in Aug. 8) has been accelerated by Pope Francis. This is at the least inaccurate. Vatican experts have been working for about one year to tailor the law to the Vatican in order to create a Vatican model of financial transparency. Ultimately, there is a sort of “publicity craze” that affects almost everybody in the Vatican. This craze can be augmented by Pope Francis’ behavior, who calls anybody he wants whenever he wants, and often speaks off the cuff. There had been much said about an interview he granted to Eugenio Scalfari, founder of the prominent Italian newspaper La Repubblica. The interview (mostly an ongoing conversation) is not a premiere. As long back as 1959, John XXIII asked his secretary to call the Corriere della Sera to say he was ready for an interview, which he granted to the famous Italian journalist Indro Montanelli. Scalfari’s free-flowing conversation with Pope Francis was reported by the journalist in such a general manner, that there are still questions about whether the Pope’s words can be quoted as official positions or not. The Osservatore Romano, the Vatican newspaper, took the decision to report the interview in its entirety, making the Pope’s words sort of official. The Osservatore Romano’s independent decision (not the first one) de facto cut off the Holy See Press Office from any communications strategy. Father Lombardi had no choice but to point out that the content of the interview may be faithful to the Pope’s words, since the Pope did not complain about it, but that he could not confirm they were his exact words. This is the Vatican today. A Vatican always more prone to outsourcing, while the central institutions are pushed away in a sort of war against Rome. The cardinals of the commission Pope Francis appointed to reform the Curia seem to want to push the Curia away, rather than reform it. They are thinking about re-writing the Pastoral Constitution Pastor Bonus, but all the proposals that came out from their first meeting (the Secretary of State must be a Secretary of the Pope; more space for laymen; a moderator curiae, which mean a sort of director of personnel) are already in the Pastor Bonus. The local Churches have taken over and want to push any central institution aside. Will it be just a dismantling of everything? In the Curia, in the dioceses, in the parishes, there are good Catholics, in love with their missions and doing a great job. But in the Vatican it seems now that what people outside the Church think is more important than what people inside the Church think. The Vatican turns to VIPs to promote what it does, and never thinks about valuing the high professionals it already has. While the Holy See Press Office works to explain this Papacy, the Pope grabs the newspaper headlines with initiatives that the Holy See Press Office simply is not made aware of. While the Vatican Secretariat of State keeps on doing its job, it is also challenged by sudden Papal decisions, taken without any coordination. This kind of anarchy is not something new in the history of the Church. The issue is that the institution previously managed this anarchy. Now, the institution itself feeds the anarchy. The informal Vatican of the Pope, a Pope in a “under a dictatorship” permanent mindset, risks giving credence to the view of those who think that the Church is only a “confluence” of strong interests. The goal of the latter is to dismantle the Church. Will the informal Vatican help them to succeed?